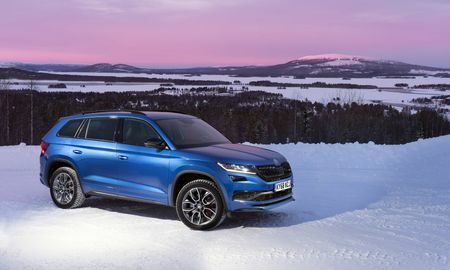 You’d be forgiven for thinking that the Skoda Kodiaq vRS is a rather strange proposition, an odd mix of diverse attribute that logic suggests might not go together. We certainly did. At first. 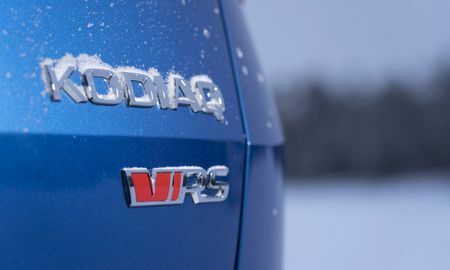 To figure out whether the Kodiaq vRS does indeed tick all those diverse boxes, we set ourselves a challenge. First step? Take the car to Silverstone, the home of British motorsport and set a lap time in the VRS. Nothing out of the ordinary there. With the second step, however, things took a bit of a turn. A very sideways turn. Fast forward to Arjeplog in Swedish Lapland, a few miles south of the Arctic Circle, where there just so happens to be an exact 1:1 scale replica of Silverstone carved into a massive frozen lake. 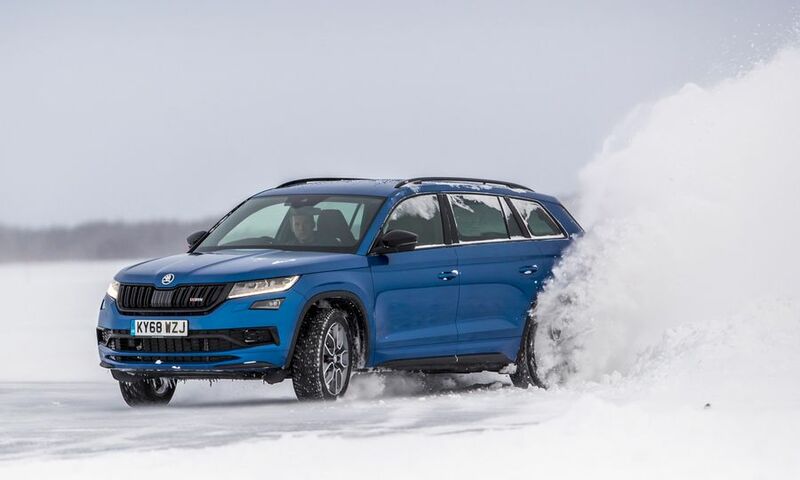 Armed with an identical Kodiaq vRS, albeit with studded snow tyres (we wouldn’t have got very far without them, either on the lake or on the snow-covered roads of northern Sweden), we’d set another lap time, and see how close we could get to our original time. Simple. 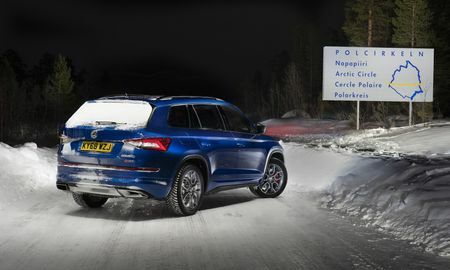 Well, predictably, it turns out that driving hell-for-leather on sheet ice isn’t simple, far from it in fact. However, with every turn resulting in a huge sideways drift, and plumes of powdered snow being kicked up by our fat tyres, it sure was fun.